Lol, I’m just joking. I have continued my experimentation of international taste and foods. This new market, well new to me, Mariano’s, has to be one of the best smaller markets I’ve been to since living in California. I have yet to go to any farmer markets, but I’ll get to that next. On my quest of eating a bit healthier I thought about looking into other cultures of food. I always found other cultures interesting on how they eat, and how they stay fit. One thing I noticed was incorporating fish into one’s diet. I grew up eating some fish, but not all. It can be expensive, but if you shop around, you can manage. Now, I grew up on shrimp, catfish, and perch. Down south, those are popular. I wanted to expand on selections. I remember as a kid having salmon patties. I tried it with my kids. No go. One lesson as a mommy, sometimes, no matter how much you dress it up, if the kids don’t like it, it not happening. With that said, I enjoyed my salmon patties. I then googled mahi mahi. I remember hearing it was a good selection of fish, and I wanted to try it. 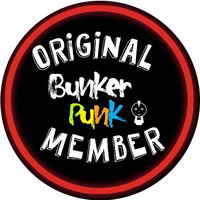 Well, if you don’t know this blog now, you’ll find out, I wander in grocery stores, home improvement stores, and craft stores, coming up with ideas in my house. Going to Mariano’s was no different. The store was fabulous, and I found the tahini paste I was looking for. It’s for a middle eastern/jewish dessert I saw on one on my cooking shows. Looked fabulous and interesting to make. Originally that was my only purpose to going to a smaller market. Yeah…..three trips later. 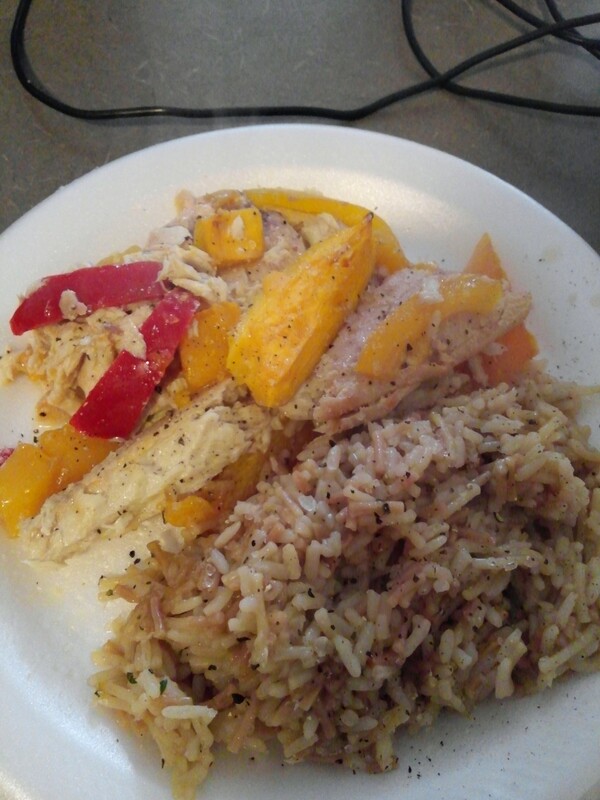 I came up with a mango papaya pepper base for the fish, baked in mango nectar with a side of mushroom rice. I felt so good with this light dish. Tasted great too. I also love zucchini. My aunt introduced it to me as a kid. Never touched it afterwards, but as an adult wondered what I could do with it. Bread. 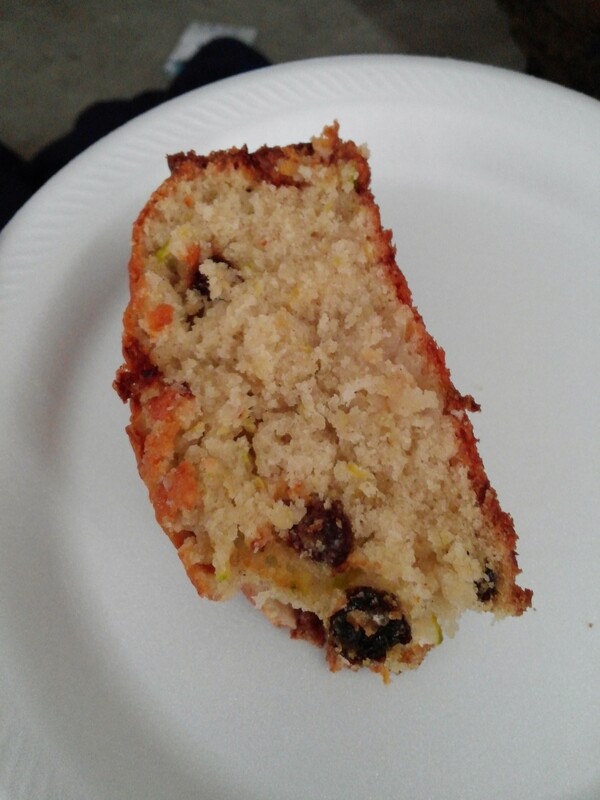 Zucchini bread, but some old plain zucchini bread, a recipe I found on all recipes.com, and I changed it. I loved how it came out. 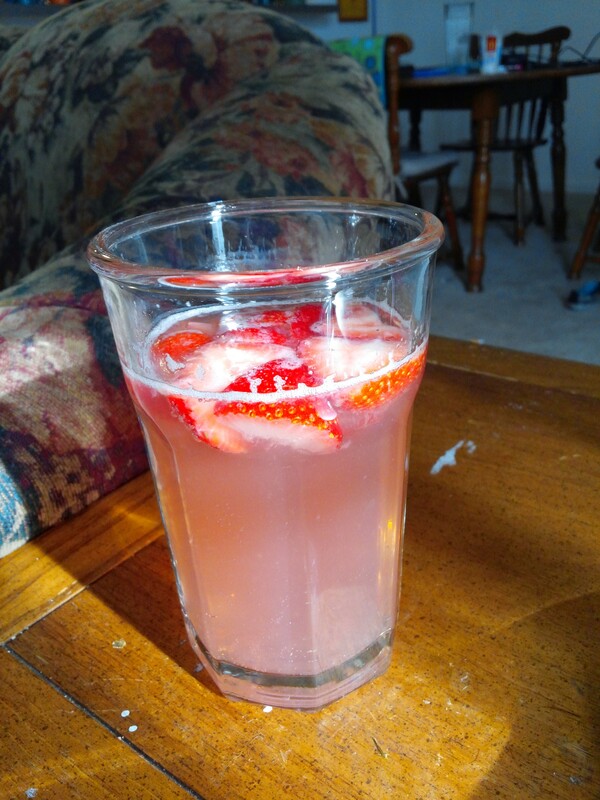 I also made a strawberry sangria, where I added pink lemonade soda in as a mixer. It was beautiful. As I continue of this quest of international experimentation I will fill you in on my mess ups and successes, like this one. Tonight, I will start the three day process of the halvah I have planned. Yes, three days to make, but I think it will be worth the trouble. My quest of expanding my dreams and tastebuds continue. Hope you continue that ride with me!